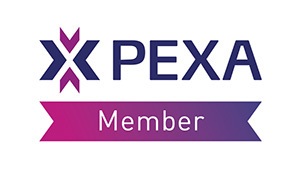 The times they are a changing……wheels are set in motion for conveyancing transactions (whether you are buying or selling or transferring property) to be conducted on an online electronic platform known as PEXA. In the future, this online property exchange will be the only way that property settlements are handled. In line with the industry’s push to move all property settlements onto this online platform, new requirements for identifying clients dealing with property transactions have been introduced. These apply to all property and conveyancing transactions, even if not conducted via the online property exchange. The transitional period expires at the end of July, therefore from 1 August 2016 all persons dealing with property (e.g. buying, selling or transferring) will be required to satisfy the Verification of Identity (VOI) requirements. Change of name or marriage certificate where applicable. If a lawyer or conveyancer cannot meet their client face to face, there are approved agents authorised to carry out the certification. One of the most convenient places will be by making an appointment at your local Australia Post outlet to complete this process, the cost at present for doing so is $39.00. You can find out a bit more about the VOI process at AusPost. One of the main goals and benefits of VOI is that fraudulent property dealings are minimised. All parties can feel safer knowing that they have been properly identified under the same process. VOI is making sure that we are all accountable and taking sufficient steps to verify the identity of those involved in conveyancing, buying, selling or transferring property. With all legal practitioners and conveyancers being required to stay within the safe harbour of complying with the new rules for identifying their clients, ClickLaw wants to make sure that our clients are well informed of what documentation they will need to provide to us in the hope that the additional requirements have minimal impact on our clients and their transactions. Most people decide to sell their property and they come to a legal office completely unprepared for the VOI process. That’s OK. ClickLaw is here to help. If you are selling a property, you should make sure that you know where your identity documents are before you attempt to sell your property. If you don’t have identity documents, you should apply for them as early as possible. The list of acceptable documents can be found here under Schedule 8. If you have any questions in relation to the new identity requirements we here are ClickLaw (including our expert property and conveyancing lawyers) are more than happy to discuss them with you.